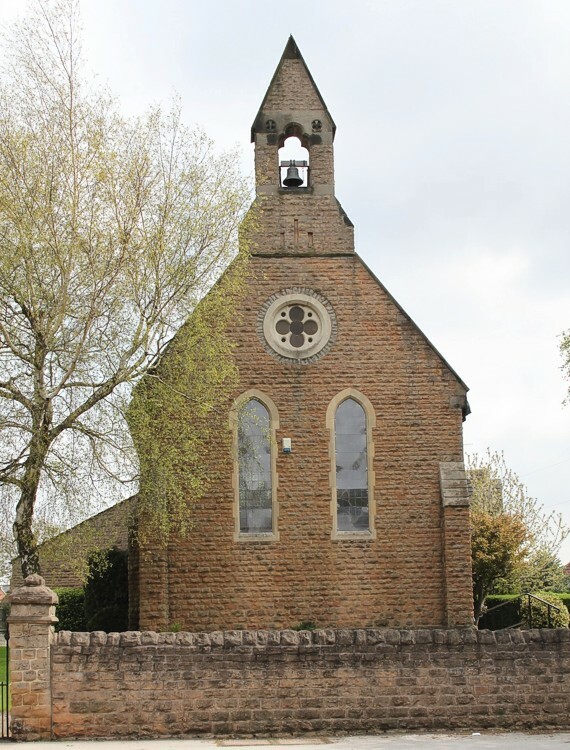 Dedicated in March 1877, St John’s was built in the Early French style of Linby stone with Bath stone facings and brick buttresses, on an acre of land at Butlers Hill given by the fifth Duke of Portland. The architect was A N Bromley. Prior to that services were held in a shop in Whyburn Street. The church has a nave, chancel, organ chamber and small west turret with one bell by Taylor and Co. Until the chancel, sanctuary and organ chamber were added in 1895 (architect Robert Clarke) the building extended only as far as the chancel arch. The capitals in the chancel were erected as rough-hewn stones and not carved until years later. Vestries were added - restored in 1977. The simple stone font has an octagonal bowl. The sanctuary was completely refurnished in 1925 when the altar, reredos, and chairs were introduced, as well as a highly carved bishop’s chair. Rush-bottomed chairs in the nave date from 1877. The rood crucifix is unique. Hanging in the chancel arch it bears a rough wooden cross originally on the grave of an ex-member of the congregation killed in the First World War. Most of the windows are single lancets, although there is a circular quatrefoil above the two at the west end which are in memory of local miners killed in World War II. The east window is the artistic highlight of the church portraying the Crucifixion. It is a memorial to the men of Butlers Hill who died in the Great War.